Did you know that even though it is cold outside, it’s no reason to turn off your ceiling fans. Most ceiling fans come with a switch that will reverse the direction of the blades. In warmer months, you will want to run your fan counterclockwise to push the cool air down, but in colder month, run your fan clockwise to push the warmer air that is settled near the ceiling back down to where you are. 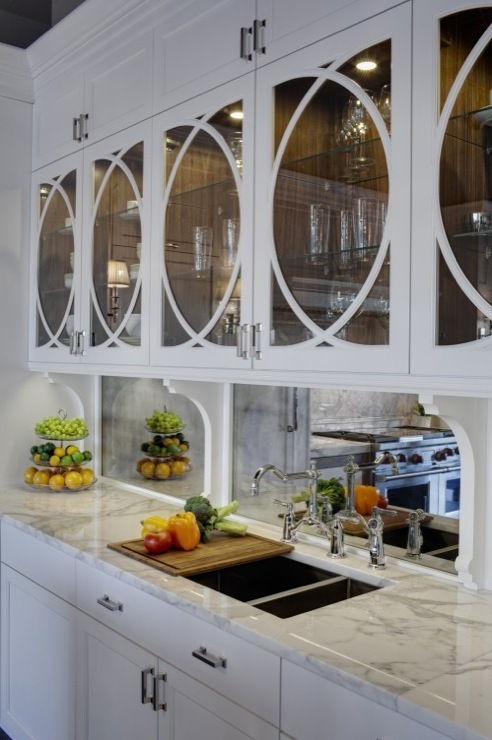 Like everything around us, kitchen design is an ever changing thing. Looking back, remember the avocado green appliances in the 1970’s? Today, stainless steel is the popular style. Thinking back to countertops, laminate was very popular in years past, and today, granite is the big thing. But maybe you want something different. Have you considered concrete? Now, I bet you are thinking, “concrete, like sidewalks?” Well actually, yes, concrete. The same concrete but used in a different. Did you know, that concrete can look like stone, polished or unpolished? By being able to customize the base, you can add almost anything, from bits of metal, to pebbles to seashells. You can truly personalize it to your needs and taste. In most ways, the actual finished product will look very similar to marble or granite. You will have to deal with stains, such as red wine, as the concrete sealers aren’t totally stain-resistant, yet. Maybe someday. For some, a kitchen is not a kitchen without a large window over the sink area. Whether it is to keep a watchful eye on the children while the dishes are being washed, or to simply just gaze onto nature, a window can bring in the sunshine, while adding imaginary space to a simple kitchen. 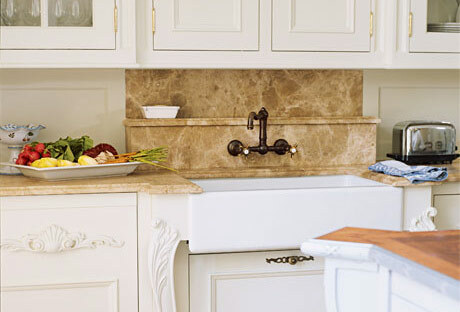 Not all kitchen remodels can accommodate a window over the sink. If that is your case, consider a colorful back splash, or even a mirror, to give the illusion of space. Try it, you might love it! It’s the time of year when paint manufactures get together with color forecasters and come up with the “hot, trendy” colors for the New Year. For 2016, they have decided that Off White will be the “it color for interiors.” Colors that are considered “off white” are good neutral colors to start your design around. If you love the clean, light look, consider adding a shade or two of either darker or lighter hues to add interest. Will you miss bold, bright colors? The off whites take bold pops of color beautifully, while still looking crisp, fresh and modern.